Geroskipou has a long and interesting history that begins in antiquity. 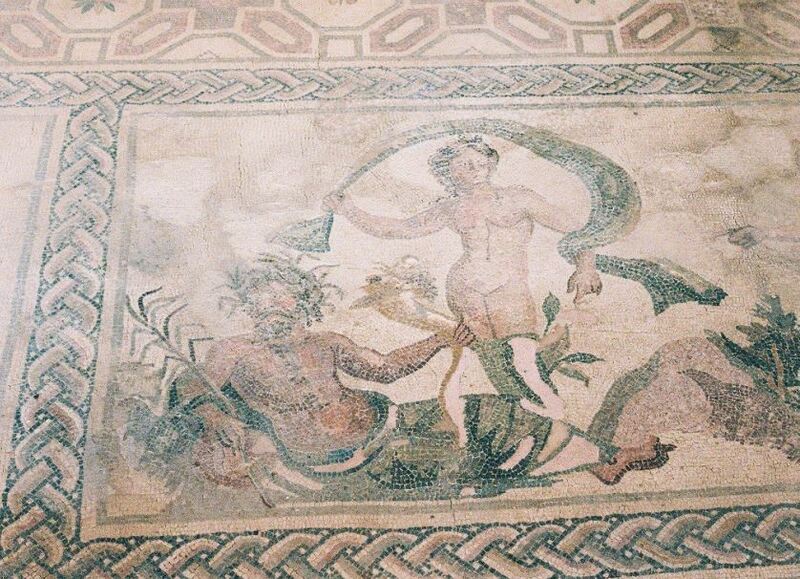 But what made its culture particularly important is its connection with the cult of Aphrodite, since it was in the soil of Geroskipou that were found the Sacred Gardens of the goddess of love and beauty. 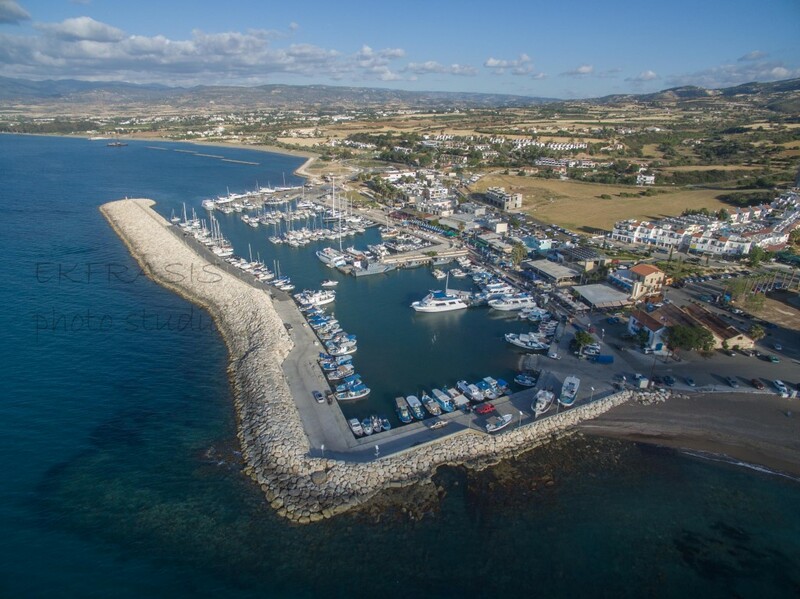 Geroskipou is situated to the east of Pafos and extends for 10 square kilometres, and has a population of 8000 inhabitants. 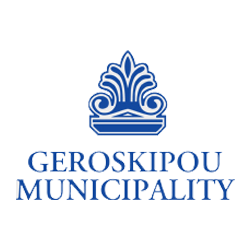 The Municipality of Geroskipou was founded in 1994 and today includes within its administrative boundaries the small village of Koloni (together with the Municipality covering an area of 15 square kilometres). Two rocky plateaus surround Geroskipou, giving it a characteristic appearance, while to the south there is a fertile valley with plentiful water. 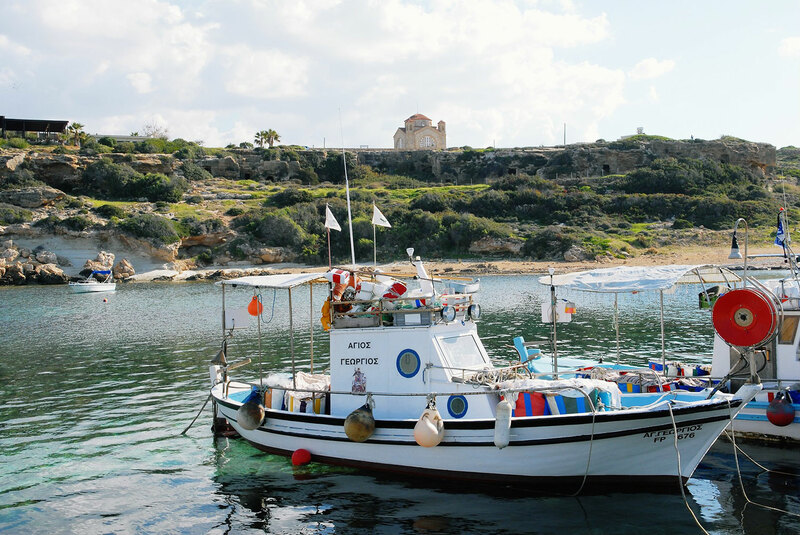 The beauty of the landscape and its rich history make Geroskipou an attractive destination for every visitor. 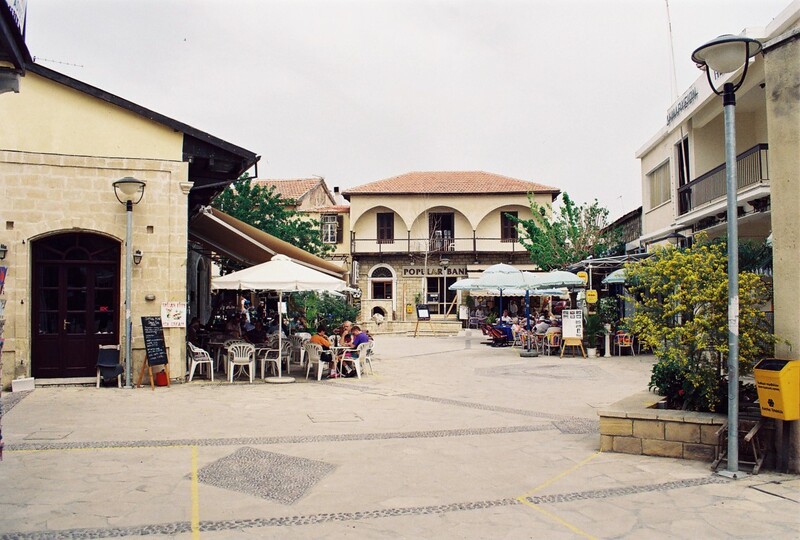 Without changing its picturesque character, Geroskipou has begun to develop rapidly in the last few years and turn into a modern, functioning town. Everyone who visits Geroskipou can enjoy the tranquillity of a small, traditional community without, however, worrying about the lack of modern services that a present-day town has to offer. The historic centre of this market town is located three kilometres to the east of Pafos town. 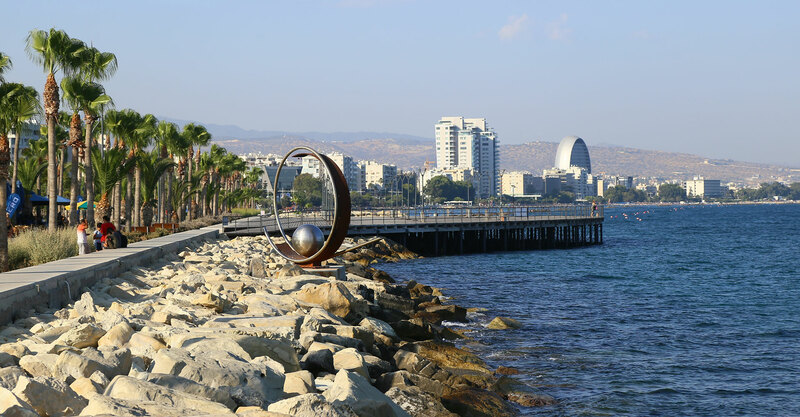 Geroskipou has excellent road connections, including the motorway on the northern boundary that connects Pafos with the other cities of Cyprus, while Pafos International Airport lies twelve kilometres away. 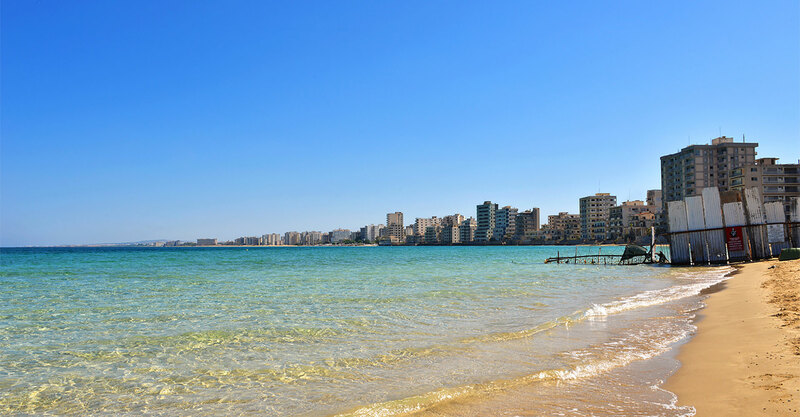 On the coastal strip, which is almost four kilometres in length, are well-developed tourist facilities with modern infrastructures for hotels, restaurants and entertainment. The area around Geroskipou, despite having a significant number of archaeological sites and monuments, has not yet been the subject of systematic research or study. Our knowledge of the ancient past is thus still incomplete. So far the archaeological evidence indicates that Geroskipou was inhabited without a break from at least the Late Neolithic period (4500-3900 B.C.). The first substantial remains date to the Late Bronze Age period (1600-1050 B.C.) and reflect a rich, well-developed settlement. In antiquity the area of Geroskipou was bound to the worship of Afrodite, goddess of vegetation and fertility. To the south, towards the sea, lie the famed “Sacred Gardens” of Afrodite, a name still retained in the name Geroskipou (a corruption of the ancient name of the town, Hierokepia, formed by combining the Greek words “hieros” (sacred) and “kepos” (garden). According to Strabo, the ancient Greek geographer, the procession of the faithful passed through these gardens and ended at the Sanctuary of Afrodite at Palaipafos on the occasion of the performance of the “Afrodisia”, the annual festival held in honour of the goddess. 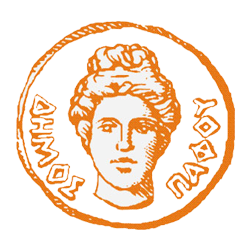 The discovery of a bothros in the mid-20th century at the locality “Monagri”, which contained hundreds of terracotta figurines, bears witness to the existence of a sanctuary dedicated to Afrodite, at least in the Archaic period. In addition, ancient Gerokipia, with its plentiful water supply, caves, underground tunnels and the dense, wild vegetation, had all the morphological characteristics of a place of worship of the goddess in the Greek world. At the end of the Late Classical period an underground sanctuary was created at “Alonia tou Piskopou” dedicated to Apollo Hylates (i.e. Apollo of the woodland). According to superficial investigations carried out at the sanctuary, there was a temenos to the god here, with a sacred grove that extended on consecutive levels cut into the rock. The sanctuary structure lies inside the temenos area and comprises two underground rock-cut chambers that are still preserved today. 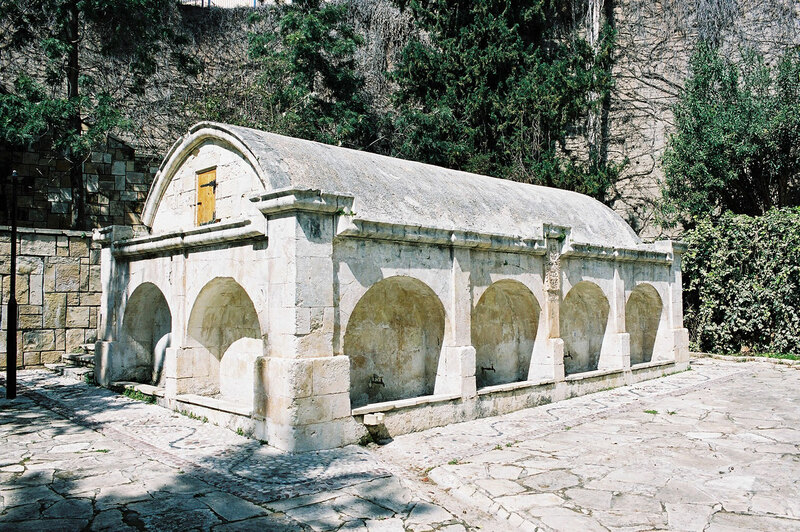 In the Late Christian and Early Byzantine periods a flourishing monastic life is evidenced by locations with saints’ names, rock-cut hermitages and chapels to the southwest of the town (“Efta Ai Giorkides”, “Katarameni”) and to the north on the rocky outcrop (“Palioziellaron”, “Agioi Pente” ). Near the cave of “Agioi Pente” (Saints Five), a fine basilica was recently uncovered dating to the Early Christian period. Its destruction (probably during the Arab raids) is the likely reason for the construction in the 9th century of the church dedicated to the Holy Cross, later known as the church of Agia Paraskevi. During the Frankish period the village would have been of great economic importance. Due to the fertile plains of the area, Geroskipou was one of the royal estates bestowed by King James II in the period 1464-1468 on the eminent feudal lord Petro D’Avila, a powerful political figure. The establishment of a British Vice-consulate in the village in the Ottoman period (1800-1864) was important for Geroskipou and elevated the role the town played in the region. Andreas Zymboulakis, originally from the Ionian Islands but resident in Geroskipou and who had formed a close friendship with the English Admiral, Sir Sidney Smith, was appointed Consular agent of Britain and was mainly responsible for replenishing the supplies of the British fleet. Andreas Zymboulakis was succeeded in 1826 by his son, Smith or Hadjismith Zymboulakis. Pafos is a place full of light. 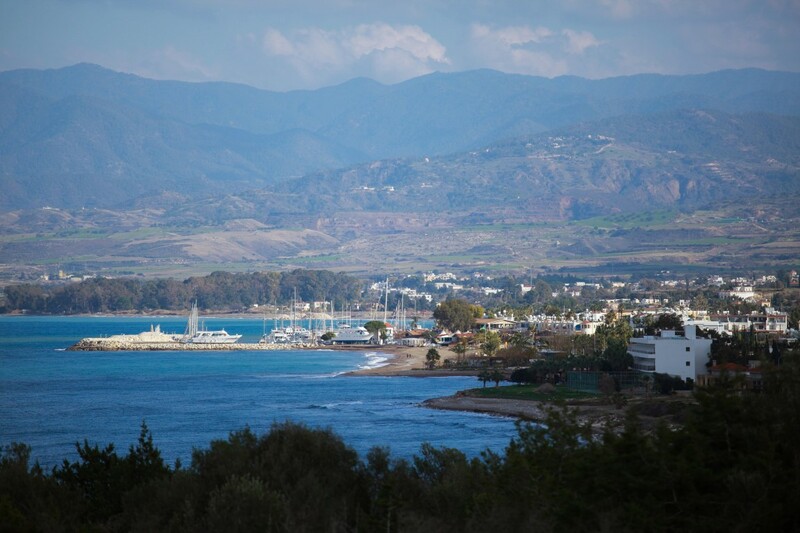 This sunny coastal town on the western side of the island is the most westerly part in Cyprus. 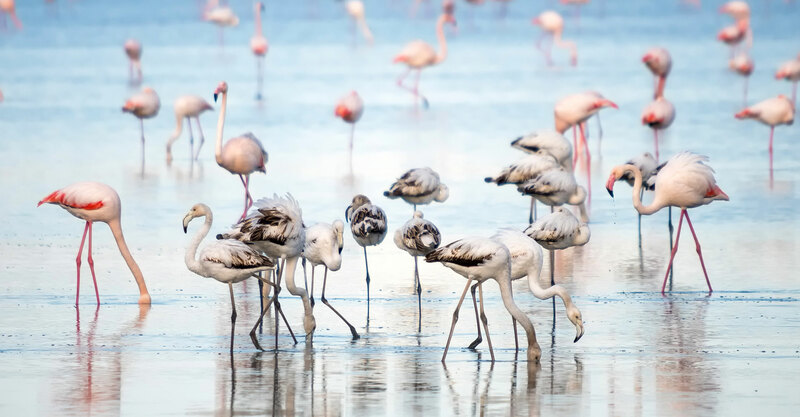 The mild climate, the luminous atmosphere, the variety of landscape, the monuments of civilization and art, which are scattered all over the land, are the most important characteristics of the area. Light, sun, sea: three very ancient words still used today by the same people in the same place, describe the area of Pafos. It is washed by the sea to the west, the south and the north. In the past these seas were called the Kilikian (to the north), the Egyptian (to the south) and the Pamfylian (to the west). The natural environment creates a climate that is unique in the whole of Cyprus. The winter, of short duration, is mild, while the summer, the longest of the four seasons, is cool. The cold north winds halt at the low mountains in the centre of the region. They cannot reach the coastal plains of Pafos. In the town of Pafos, the hill of Mousallas was, according to the geologists, only a few metres from the sea. The waves came up to the foot of the hill. Pafos was a cradle of religions. Here the eastern goddess Astarte was worshipped, Hellenised as the goddess of love and fertility and took the name of Aphrodite, a name which was so closely linked to the place of worship that she was called the Paphian. Paphian Aphrodite occurs in many ancient Greek and Latin literary texts. It was also here in Pafos that the new religion of Christianity, which also came from the east, was “officially” received. The first Christian official in the whole of the Roman Empire was the Governor of Pafos, which in those days was the capital of Cyprus. 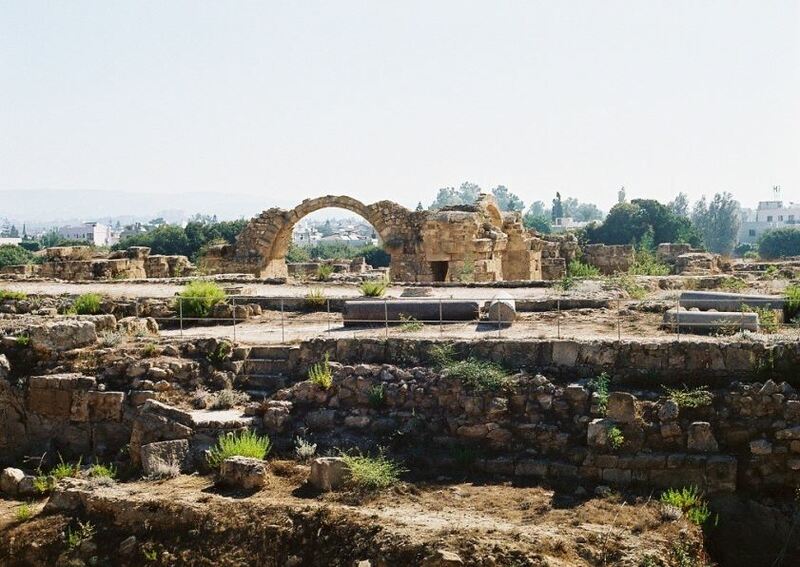 Ancient Pafos, or PalaiPafos, now known as Kouklia, was situated at the mouth of the Diarhizos river, the only river which still flows in the summer, and was the religious centre which attracted not only the Cypriots but also the inhabitants of neighbouring countries. Homer refers to the temple of Aphrodite at Pafos in Odyssey VIII, 362-366. All these worshippers came to “the navel of the world”, as they called Pafos. This was the second “navel of the world”. The first was at Delphi. Isychios, who describes Pafos thus and, moreover, places it before Delphi, may have meant that Pafos drew all the Greeks there because of the very large temple of Aphrodite or because there was a cone-shaped stone resembling a navel in the centre of the temple. Various interpretations of the name Pafos were given in antiquity. We have already mentioned Homer who, apart from the reference to Pafos by name, tells us also about Aphrodite’s temple. Other ancient writers state that the town took its name from Pafos, the father of Kinyras, who was the son of Kefalos and came from the east. Others allege that the name came from Pafos, a woman this time, who was the daughter of the mythical Pygmalion. Pafos was founded in the 12th century BC and there are many traditions about who the founder was. One version alleges that Kinyras, King and High Priest of the temple and the father of Adonis, the beloved of Aphrodite, founded Pafos. The Roman author Tacitus supports this view. Homer makes reference to Kinyras in the Iliad, saying that the King – High Priest sent a breastplate as a gift to Agamemnon, leader of the Greek expedition against Troy (Iliad XI, 19-23). Another tradition, which Pausanias refers to, tells of the Arcadian King of Tegea, Agapenor, the son of King Ankaeus who had gone with Jason and the Argonauts. A great disaster befell Pafos fifteen years before the birth of Christ. A strong earthquake reduced the town to ruins. The new town, built in the place of the old, was called Augusta, perhaps after the emperor of Rome, Augustus Caesar. Augusta grew rapidly and its population reached 30,000. Inscriptions from this period refer to Pafos as “the holy metropolis of the towns in Cyprus”. At the beginning of the 1st century AD a very important event occurred in Pafos, which continued to be the capital of Cyprus. The Apostle Paul visited the town. He preached first in the synagogues and at other gatherings of Jews. The Roman pro consul of Pafos was Sergius Paulus, an educated man and an authority on natural science. Sergius Paulus summoned the Apostle of the Gentiles so that he could hear what he had to say. Among those listening was the sorcerer Elymas, who reacted strongly to Paul’s teaching. Then the Apostle was forced to strike him blind. The proconsul Sergius Paulus needed no other proof to be convinced and become a Christian. Cyprus seems to have become a Christian island after the 4th century, although quite a number of ancient Greek rites survived even after that period. Following Paul’s visit, a bishopric was established in Pafos, which today still takes precedence among the bishoprics of the island. Pafos, with the whole of Cyprus, was incorporated in the Byzantine Empire, where it remained for about eight centuries. Pafos played an important role in the armed struggle of the people of Cyprus against the British from 1955-1959. The first boat which came secretly from Greece bringing weapons for the Cypriot fighters was seized off the coast of Pafos, near Chlorakas, and its crew were arrested by the colonial police, tried and imprisoned. The last hero of the struggle to be hanged by the British was Evagoras Pallikarides, a pupil at the Greek Gymnasium of Pafos. During British rule Pafos had developed considerable intellectual and educational activity thanks to the efforts of the enlightened people of the town. Writers from Greece visited Pafos and gave lectures on subjects which preoccupied the intellectual life of Greece and Cyprus. Intellectual associations, such as “Kinyras”, which was founded by Loizos Philippou, had a noteworthy presence and activity, newspapers circulated from the early years of British rule, literary journals such as “Pafos” had Panhellenic range, there were important works of poetry and prose and literary events such as the “Palamikes Yiortes” (“Palamas Festival”) organised by Christodoulos Galatopoulos are worthy of mention. On July 15th 1974, following the coup d’état by the Greek Junta and their Cypriot collaborators against the President of the Republic, Archbishop Makarios III, Pafos was transformed into a veritable stronghold of resistance. After the Presidential Palace had been bombed and set on fire, President Makarios took refuge in Pafos and through the Free Radio Station there, which had begun operating immediately after the coup, sent a live proclamation to the Cypriot people, asking the citizens to resist the coupists. A direct result of the coup d’état was the Turkish invasion on 20th July 1974, which caused huge destruction in Cyprus. There were thousands of dead and missing and tens of thousands of Greek Cypriots were forced to leave their homes and properties and become refugees in their own country. Pafos was bombed indiscriminately by the Turkish air force during the invasion. 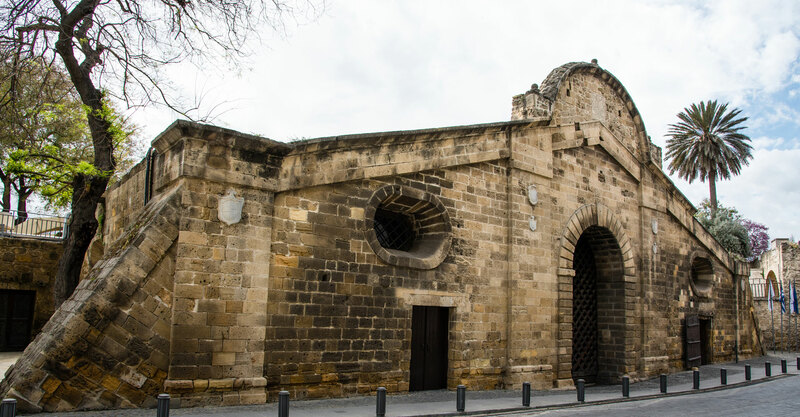 There were also battles in many areas of Pafos between Greek and Turkish Cypriots, especially in the Turkish quarter of the town. After the Turkish invasion, which brought a number of refugees who settled temporarily in the Turkish quarter of the town, the struggle began for survival and economic recovery. 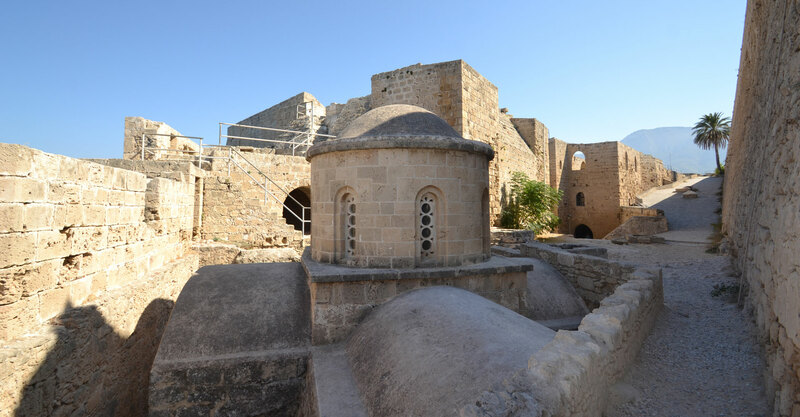 Since the two main tourist areas of Cyprus, Famagusta and Kyrenia, were occupied by Turkish forces, great importance was attached to the tourist development of Pafos. The International Airport was constructed and new hotels and facilities built to serve the tourists who come from all over the world to enjoy the natural beauty, to relax and to visit the historical and archaeological sites of the district. Peyia was declared as a Municipality in 1994 and is recognized as one of the largest Municipalities of Cyprus, as the region covers 4.552 hectares. The administrative area of Peyia extends to the North at Lara Gulf and to the South at Potima manor and Mavrokolymbos dam. Peyia is located, 15 km away from Paphos Center and is very close to Akamas, is a Reference point not only to the locals but to foreign residents as well. The fact that the village is mounted on the slopes of a mountain and built at an altitude of 200 meters, allows enviable panoramic view both to the west coast of the island and towards the Paphos town. Moreover, the combination of mountain and sea with the mild climate of the region is an unparalleled advantage. The origin of Peyia’s name are divided. However, the most prevalent is the one of Nearchos Clerides. According to it, the name is alien and shows that the settlement was built during the Venetian Period, where they called the neighbouring port as B (a)ia and a small cape nearby, as Keratide because of its shape which looks like a horn. Baia Cheratidi means Keratide bay hence the name of that area. So, Peyia’s name is generated by the Italian word B (a)ia which means bay Peyia, because of the beautiful green landscape, the amazing beaches and the remarkable archaeological sites, the recent years the tourism sector has significantly developed with thousands of couples choosing Peyia for their Civil Wedding. Especially the Coral Bay area, which in recent years has developed greatly, attracts many tourists. Facilities like taverns, bars, other entertainment venues and hotels are located here. 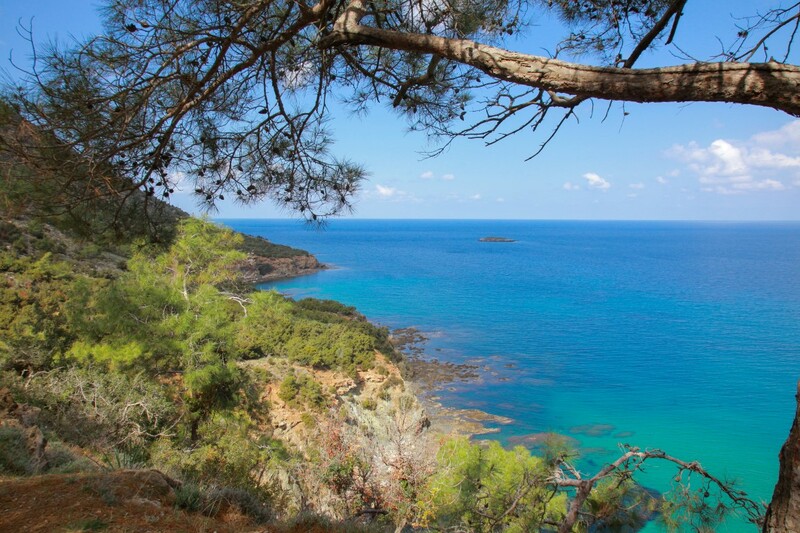 Also Peyia is well known for its beautiful beaches such as Coral Bay Beach, Laourou, Maniki, Kafizi and Lara Beach. The coastal area of Kantarkasti or Sea Caves is of an exceptional beauty, lying about two kilometers from St. George Cape. Here, the winter turbulent waves have carved the rocks over the years, forming caves, tiny islets and vertical rocks. Seals also periodically live in this area and so the location was named Cave of the She-Seal (Fokaina Cave). Some sightseeing that is worth visiting is Vrisi of Pegeotisson, located in the village square. Various events and Civil weddings are held there. Vrisi ton Pegeiotisson is an attraction that is a Landmark of Peyia. This Fountain was built in 1907, presumably to replace an older, from the builder Achilleas Constantinou. its operation was very important until 1956, since it was the main source of drinking water. About 4.5 km away from the village, near the fishing Harbour, are the ruins of early Christian basilicas with mosaic flooring, depicting animal scenes. This area seems to have been the site of an important settlement of the Early Christian Age. Near the area there are tombs of the Roman period, carved in the rock. The Basilica of “Saint George” of Peyia is located in the archaeological site of a Greek-Roman Paleochristian settlement in the coastal area of ​​Akrotiri Drepano, about 15 km northwest of Nea Pafos. These are three independent Early Christian churches, which were revealed by the Department of Antiquities. Another great archaeological site is the necropolis, which consists of monumental tombs in two types, arcosolia and pockets, carved in the rocks. It’s located on the front of the steep cliff over the west and northwest coast of the cape and across the island of Geronissos, on which have been found archaeological remains dating from the Hellenistic to the Early Christian period. Across St. George Church, is the Island of Ai Giorkos (St. George), also known as Geronisos, which was first inhabited during the Copper Age and was believed that had been a place of worship for Apollo. It is one of the largest islets around Cyprus’s coastline. Also, the archaeological site of “Meletis” hosts carved Tombs. It is estimated that the tombs belong to the Hellenistic period. The archaeological site of Meletis is located near the archaeological site of Agios Georgios. Avakas Gorge is also worth visiting. it Is a natural monument of wild a beauty, with unique geomorphological forms. Its height is estimated at 200 meters, with a narrower opening of two meters width and an inside width of around eight. It has a length of approximately three kilometres. The churches of Peyia are considered unique of their kind. Some of them are the small church of Saint Matrona, Agia Aikaterini, Agia Marina, Panagia Agridiotissa, Isodia tis Theotokou, Panagia Zalaciotissa, Agia Paraskevi and others. 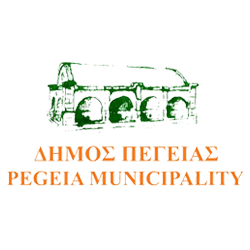 More information you can find on our website: http://www.pegeiamunicipality.com, as well on Peyia’s Municipality Facebook Page. 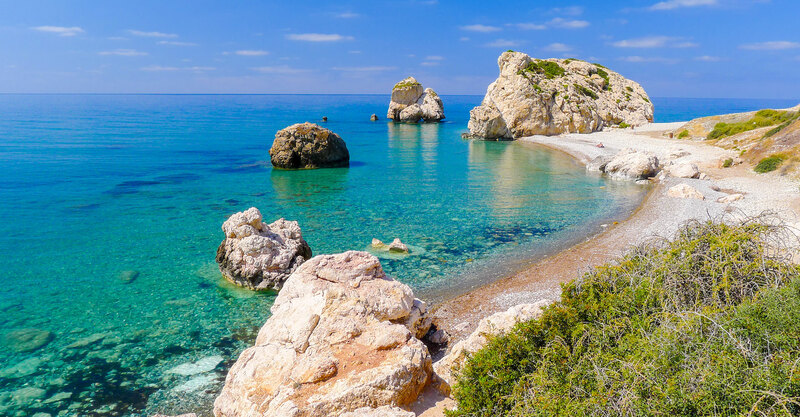 Polis, which in Greek means town, is one of the most beautiful areas of Cyprus, near romantic sites, close to where Aphrodite, goddess of love and beauty, used to meet her lover Adonis. 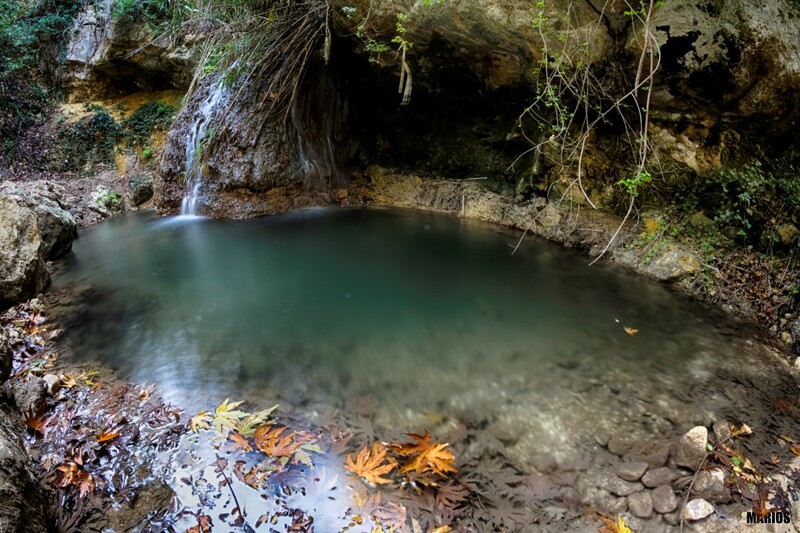 Polis is built on the northwest of Cyprus, near the Akamas Peninsula with its renowned Baths of Aphrodite. 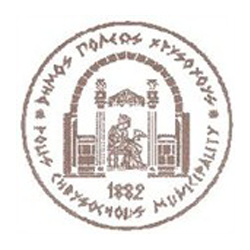 Polis Chrysochous Municipality was founded in 1882 and it was one of the oldest Municipalities in Cyprus, and it is the centre of the area, which includes 23 communities. Our Municipality has 3.500 inhabitans. Polis was known as Marion and in the ancient years was one of the city-kingdoms founded by the Myceneans, when they came to Cyprus. The kingdom was rich in gold and copper ore, mined chiefly in the nearby Limni mines. The whole Polis area has been bountifully blessed by nature and combines the beauties of mountain, sea and plain. Its seas are clean and warm, with extensive sandy beaches. The climate is healthy with mild winters and cool summer nights. The area is especially suited to people with special interests, who enjoy activities, when on holiday. Polis is a perfect refuge for mental and physical relaxation and recreation. Those wishing to escape the stress and routine of daily life will find an ideal place of calm and rest, in an environment of unparalleled beauty. Polis is the favorite spot of demanding visitors in search of a quality holiday in a friendly, sociable environment. Two beaches of Polis Chrysochous had successfully participated in the campaign of the Blue Flags (Municipal Beach-Camping Site). The Municipal Beach is located on the Southwest of the Town and the camping site on the west. Both beaches are very clean, provide high standard of security. 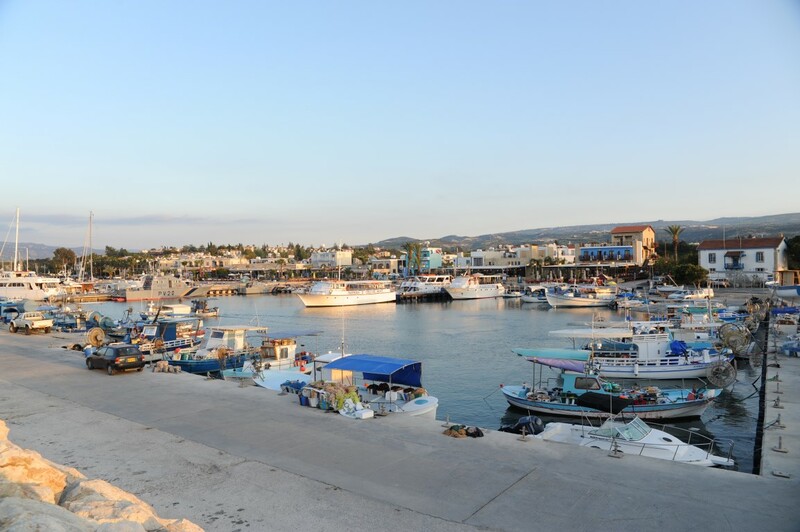 Latchi area is one of the oldest ports in Cyprus , from where people from Greece and other places used to come in Cyprus in the ancient years. Afterwards they used the port for exporting carobs. You can find there marks of the old carob warehouses, but the most of them converted into restaurants and fish taverns. 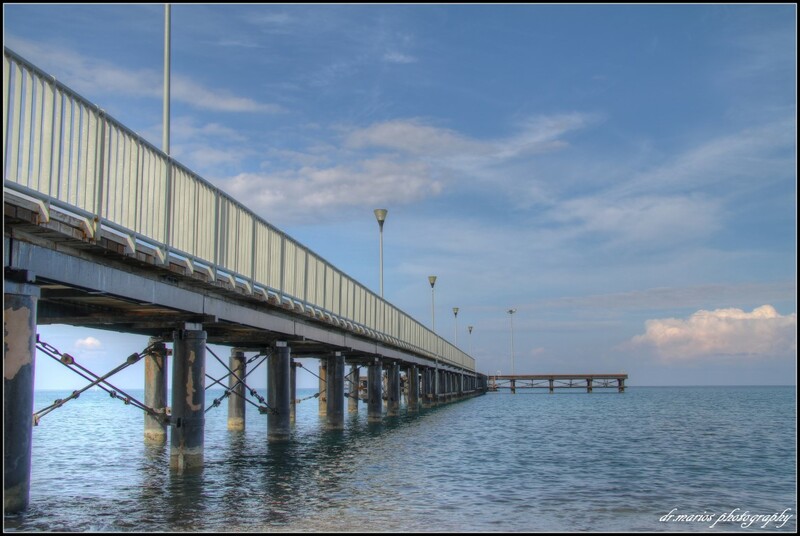 Latchi port has been used by the fishermen and it is famous for its fresh fish. A marine was build besides the fisherman’s port. The area is ideal for sports enthusiasts. Cuclin and hinking are a great way both to keep fit and explore the region. Tale in some breathtaking views along one of the many scenic nature trails that have been designated especially. The sandy beaches of Lara on the Akamas west coast are some of the last Mediterranean nesting grounds for the green and loggerhead turtles, whose numbers have greatly been increased thanks to a successful conservation project there. With warm crystal clear seas , Polis is perfect for water sports. There is every variety of water sports, such as paragliding, jet skiing, water skiing, banana boat riding and canoeing, available. Windsurfing, sailing and deep-water fishing can be enjoyed all the year round thanks to the steady winds and mild weather. The Ayios Andronicos park , which is in the central area of Polis , adds a green area to the backdrop of the parade. In the park there are seating areas and the historical and ecclesiastical monument. The park is designed to offer a haven of peace in what is a busy part of the town. People will be encouraged to take time out for thought and maybe read a book in quiet and rich surroundings. Tourism is the main economic source for the area and we have taken many steps to attract tourism to our area. Many of the projects undertaken always have the tourism factor inherent. Polis is one the most beautiful part of Cyprus .It still has the attraction of the small town, the natural environment, climate, surrounded by history and real village life as well as clean waters and the Akamas Peninsula. Our Municipality organizes a variety of social and cultural events to promote the area and offers quality entertainment to all. One of the main events is the established event called “Marion Arsinoe days”, which is held during the summer. The events promote dancing, theatre and concerts are enjoyed by the local community and many visitors and permanent European residents. 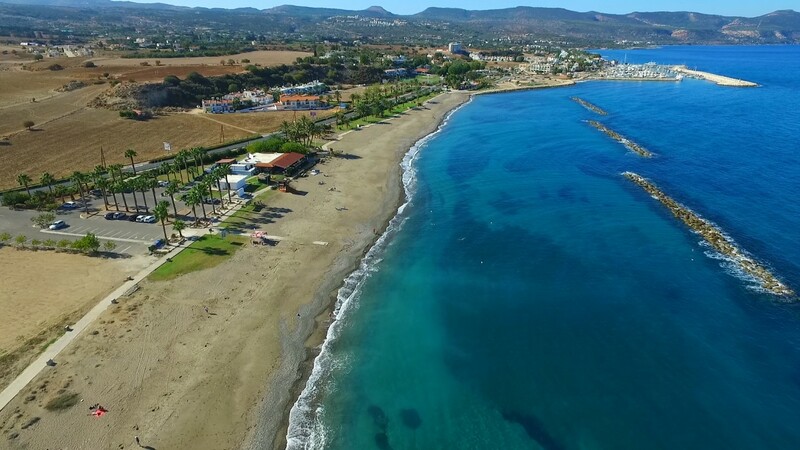 Consequently, Polis Chrysochous is one of the most beautiful area in Cyprus, which combines clean sea and beaches, mild climate, beautiful mountains with special kinds of trees, peace, quiet and hospitable area. Polis is a beautiful region, where you can feel that time has stood still, with a strong culture and many traditions handed down through the ages.